Every year on the fifth of November, people across the UK celebrate Bonfire Night, or Guy Fawkes Night. This date marks the foiling of the gunpowder plot of 1605 which saw a number of rebels conspire to kill King James I by blowing up the House of Lords in the Palace of Westminster. The discovery of the plot has been celebrated for over 400 years and now presents a fun and exciting event for the whole family to enjoy, featuring bonfires, fireworks and sparklers. So, while you’re visiting the Lake District, where can you go to celebrate Bonfire Night? At Hayes Garden Centre in Ambleside, you can enjoy an exciting evening of fireworks, food and late night shopping. In fact, the ‘World of Christmas’ will be open and Hayes will be offering 10% off Christmas items. You’ll need to book in advance if you want to attend the event as it is likely to book up early and you won’t be admitted without a ticket. 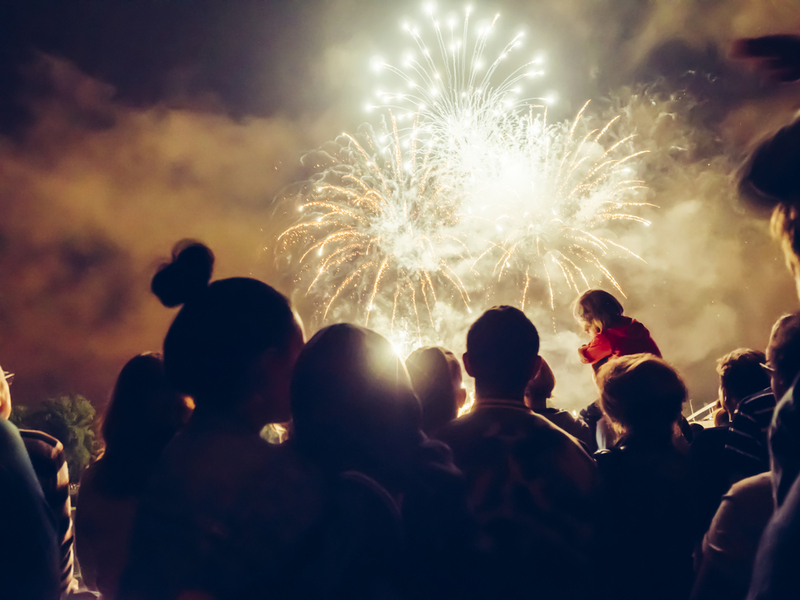 This firework display has been held every year since 1987 and this year will include a special celebration to mark 100 years since the Representation of the People Act 1918 which awarded voting rights to some women for the first time. There will be a 40-foot bonfire which will feature a giant beacon representing the values celebrated by the Suffragettes. Their colours will be used in the fireworks display – purple, representing dignity, white, representing purity, and green, representing hope. On the coast, you can find the seaside village of Seascale. This village will be host to a great bonfire and firework display at Seascale Golf Club. With fantastic views over the Irish Sea over to the Isle of Man and Ireland, this is a beautiful place to enjoy a firework display. The bonfire will be lit at 6.15pm and there will be hot food to enjoy on the night, so this is sure to be a fun night for the whole family. This hotel is known for putting on fantastic events in Windermere, and Bonfire Night will be no exception. Throughout the afternoon, there will be a hog roast, hot chocolate with marshmallows and entertainment from singer and guitarist, Fiona Halon. As the evening draws in, a spectacular firework display will take place over Lake Windermere. The event costs £35 per person, but you are guaranteed a fantastic night in a beautiful location. The Lake District has so much going on for Bonfire Night, so it is the perfect time to visit. No matter what time of year it is, at Pure Leisure, you can enjoy a great stay at our Lake District holiday parks. For more information, get in touch with a member of our team who will be more than happy to help.